Plant height: 4 - 13"
Misc. 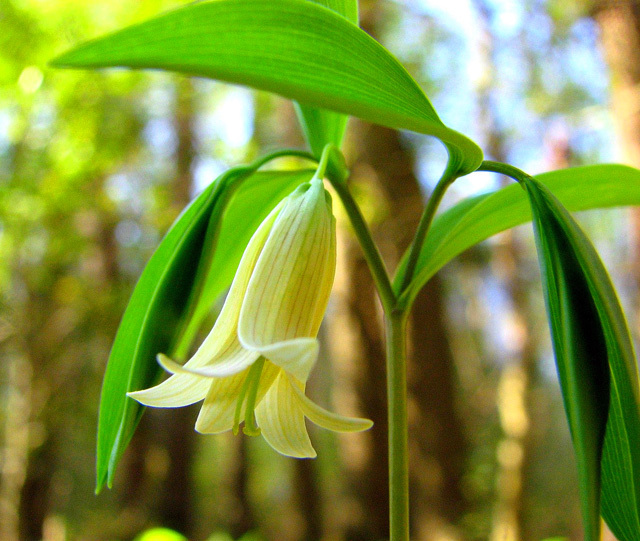 : often grows in groups; Uvularia for human "uvula" which hands from the palate, referring to the way the flower hangs from the stalk. 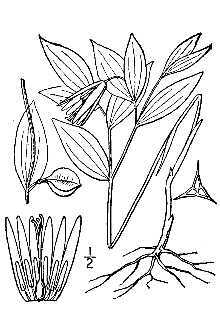 sessilifolia: with unstalked or sessile leaves. Generally spread asexually, and most do not flower. Most flowering plants do not set seed.